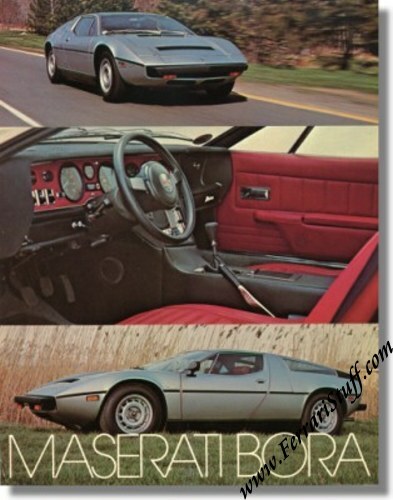 1971 Maserati Bora Sales Leaflet. 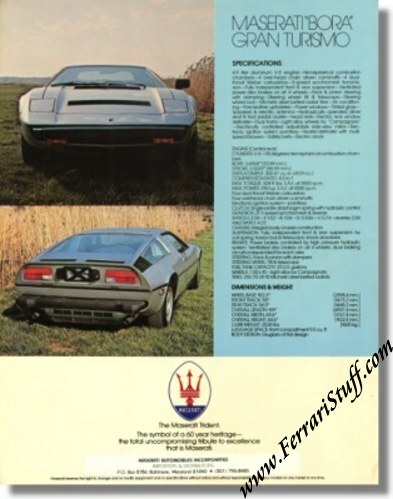 Double sides, factory issued sales leaflet for the 1971, USA-Spec Maserati Bora. The front shows three different shots, the back shows two smaller exterior shots + lists the technical specs. It measures approximately 8.5 x 11 inches or 20 x 27 cm.